Thousands of ringtones on Audiko.net! It’s easy to download a free bottles ringtones for your iPhone or mobile.  Fix your favorite trim from your favorite track - Bottom Of The Bottle (ft. August Alsina) Remix, Yo Yo Honey Singh - One Bottle Down, ] Genie in a Bottle, or any other track. On Audiko you can download your tune both in the MP3 and m4a formats, played by both mobile phones and iPhones. Just select a track, and choose free bottles ringtones download option.